Buy 10 Get 1 Free! - Introducing the DanceSupplies.com Pointe Shoe Rewards Program. To learn more click here! Capezio Tiffany Pro Pointe Shoes$57.50Clearance Price! Capezio Glisse Pointe Shoes$44.99Clearance Price! Capezio Glisse Pro ES Pointe Shoes$44.99Clearance Price! Capezio Plie II Pointe Shoes$44.99Clearance Price! 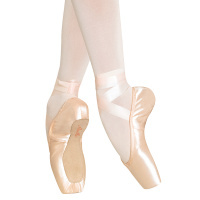 Freed Veronese II Pointe Shoes$59.90Clearance Price! 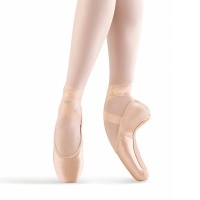 Mirella Advanced Pointe Shoes$44.00Clearance Price! 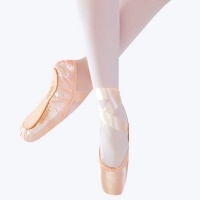 DanceSupplies.com is a leading supplier of ballet pointe shoes. 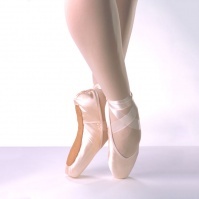 From newer dance student to professional ballerina, we supply professional pointe shoes for all levels of performance. Knowing that pointe work puts enormous wear and tear on shoes, we offer reasonable prices with many discounts available throughout the year. In the dance industry, a lot of trust goes into the name behind the product. That's why we carry only reputable brands of pointe shoes such as Bloch, Capezio, Freed, Grishko, Mirella, Russian Pointe, So Danca, and Suffolk. 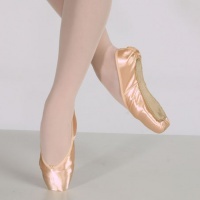 Whether you need demi pointe shoes with a soft block, or traditional pointe shoes made for beginners through professionals, DanceSupplies.com has everything you need. For added comfort, consider accessories such as toe pads and spacers. Ribbons, elastic, and many other dance items are also available.